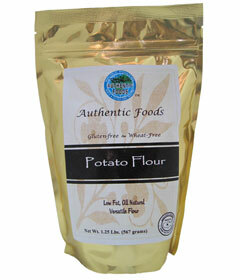 The Authentic Foods Potato Flour is made from premium potatoes. Each potato is inspected for premium quality, washed, cooked, mashed, dried and packaged in this air-tight bag. The potato flour is versatile. Use it as a thickener, baking ingredient,binder, breading and an extender. As a thickener, the flour will add creaminess to frozen desserts and body to broths, stews and gravies. To use potato flour as a baking ingredient, mix it with other flours to add moisture and extend the shelf life of your baked goods. For a breading, the flour will provide a golden crunchy crust either alone or mixed with cornmeal or crushed cornflakes. 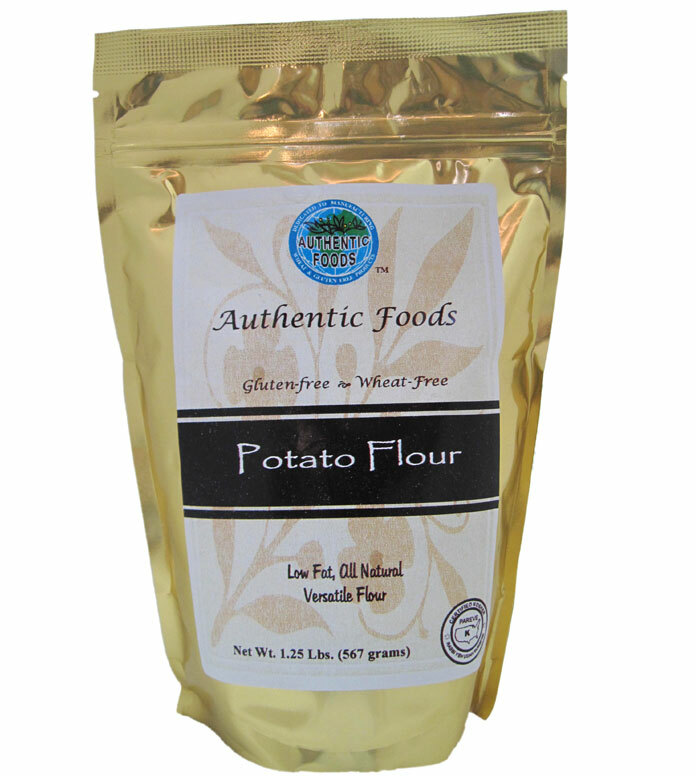 Potato Flour is great as an extender and a binder because it holds in the moisture along with the fat. Just add a little potato flour to hamburgers, fish patties or vegetable patties and get more servings with the extra benefit of serving them up juicy.